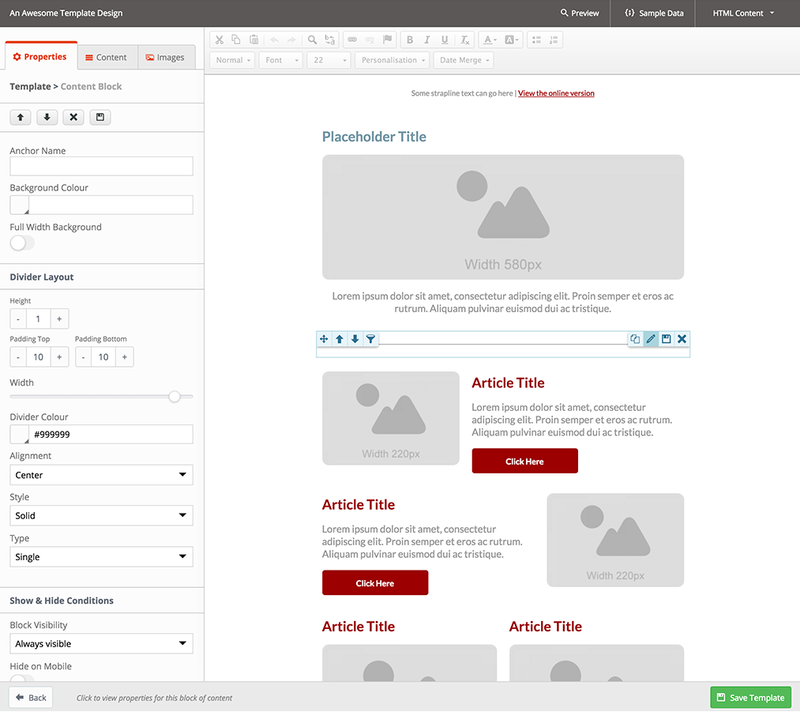 In recent months we’ve had some great feedback on how to improve our Email Designer feature. 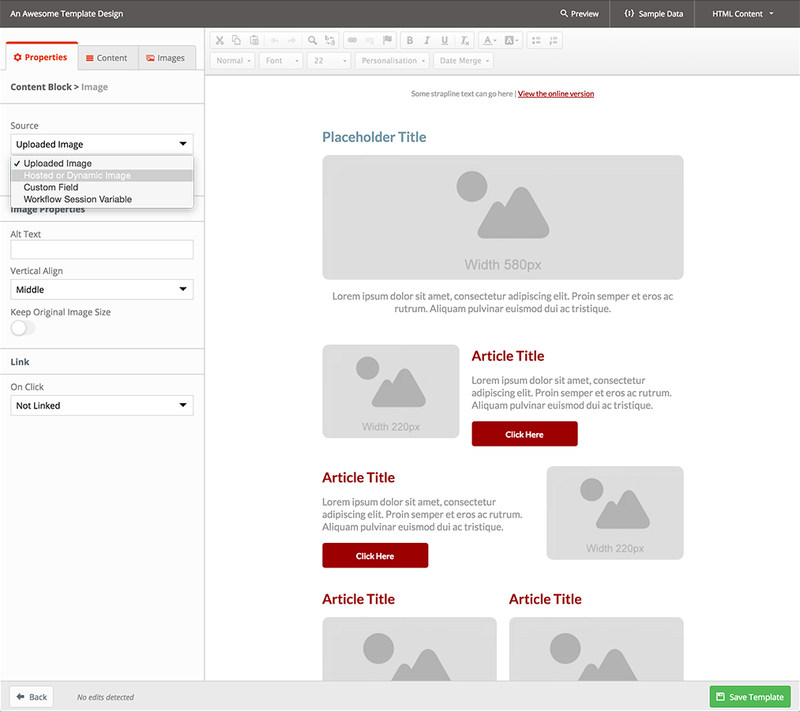 What we’ve come up with makes it easier to create more flexible designs and set image sources dynamically. We’ve also been working hard in our data centres and with some new hardware, configuration changes and software updates. We’ve boosted general performance which should be very noticeable as you’re clicking through pages, uploading and downloading files. In every update we cram in lots of smaller changes and there’s always far too many to list.. But, combined with the above we hope you’ll find using Instiller better than ever. 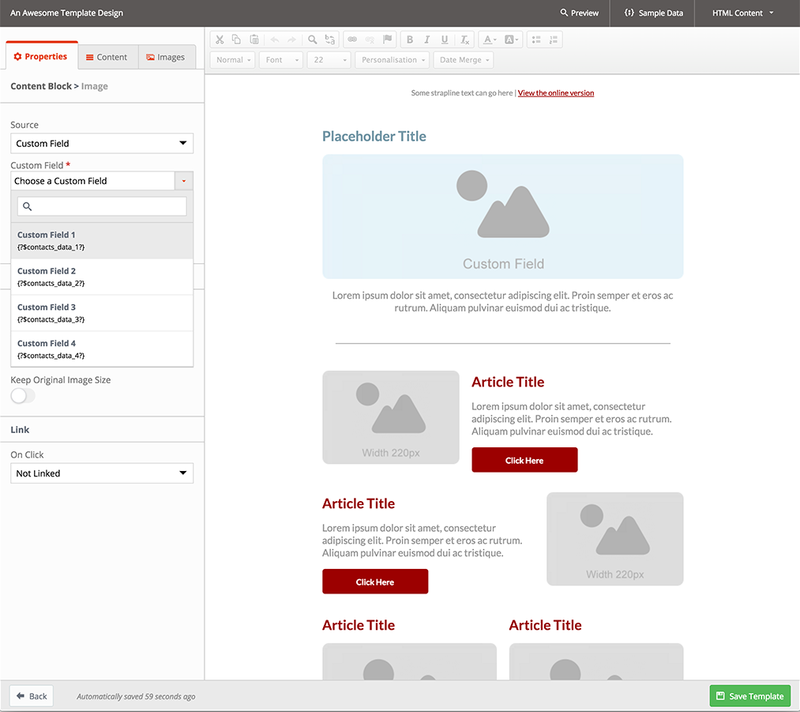 We’ve included numerous updates and improvements to the Email Designer which allow for greater design control. More granular padding controls have been added and individual padding controls on Content Blocks are now available. We’ve also applied these controls to dividers giving so that there’s more flexible options for separating content within a Template. Furthermore, we’ve updated wireframe styles to improve rendering on mobile for two column Text/Image and Image/Text Content Blocks. These Content Blocks are now displayed consistently, despite the desktop left/right display. Being able to set the source of images dynamically will make it much easier to create User specific and conditional content. Our CSS files were getting a little bloaty and we weren’t getting the full benefit from the way browsers cache files and images. The work we’ve done in this area means page loads times are much snappier than before and pages load way faster. In the data centre there’s been lots of seriously techy hardware and software changes so we can move masses of data around every second. If you’re interested in the details of the technical work we’ve recently completed just let us know and the next up in the data centre is turbo-charing all of the database servers and implementing new technologies to make servers even more robust and resilient. Soon we’ll be creating an engineering section in our blog where we’ll be talking about all of the clever stuff we do and what it takes to power a solution that sends millions and millions of emails every day of the year! Updates have been added throughout the solution as we continue to improve user experience by making screens easier and faster to use. For example, within the Email Designer, we’ve added selected/hover styles and updated the hover controls for Content Blocks. We think this will make editing content clearer and more accessible for anyone using the feature. We’ve also enhanced a range of interface controls within the Email Designer so they’re more consistent with other areas of the solution giving a feeling of familiarity even when people haven’t been into the screen before. In Solution Settings we’ve added a drag & drop Field Map editor which is more intuitive and makes it easier to modify complex Field Maps. This addition has also been replicated at the Client Account level, so your clients will also benefit from this UI tweak. There’s now specific endpoints for managing Seed Lists. Each Client Account has a Seed List and the new endpoints allow you to quickly and easily add or remove Users. Click here to view the latest version of the API documentation. 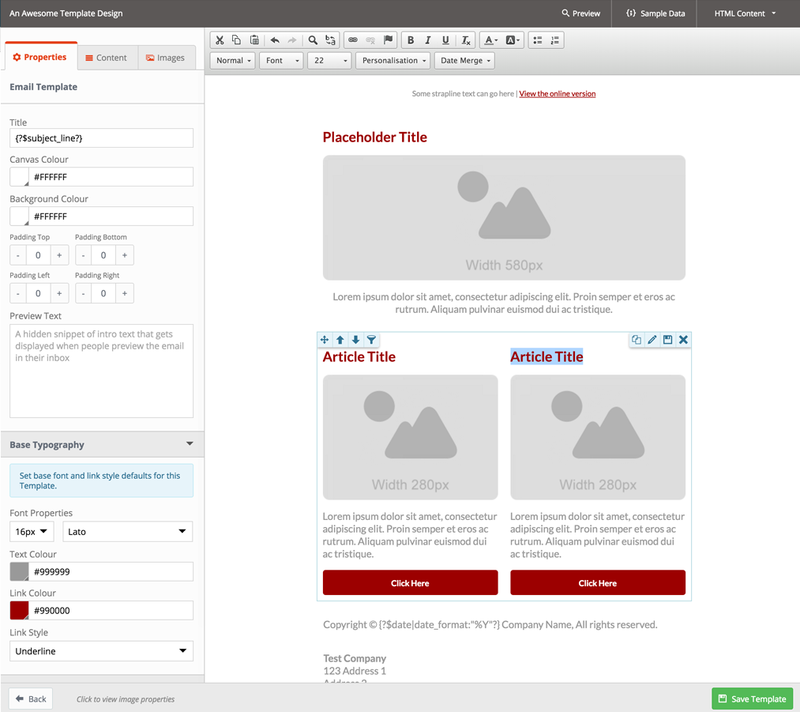 Enabled external image use within the Email Designer. We never stop developing updates for Instiller but one of the things we’re really excited about is a new integration with Zapier. Zapier provides an easy way to integrate hundreds of web services, allowing you pass data between applications without ever having to write a single line of code. 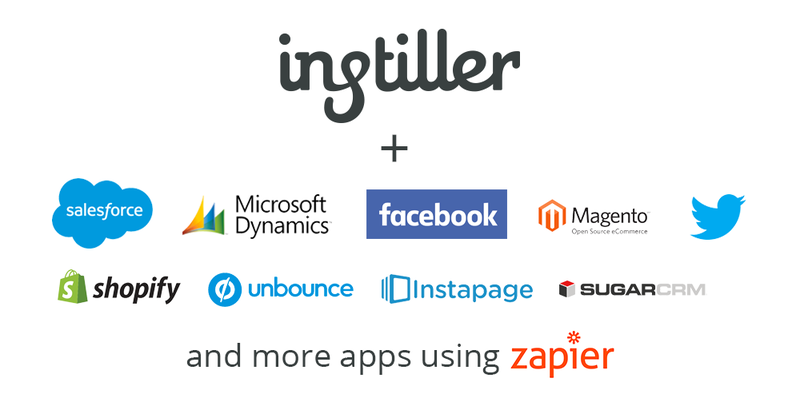 If you’ve not heard of Zapier then we’d recommend taking a look and we’ll be in touch soon with more info on what you’ll be able to achieve with the Instiller integration. If there’s anything you want to know about this update or if you have any suggestions for future updates then just send and email to help@instiller.co.uk and let us know.